Can a mortgage company owe you money for a foreclosure? While the answer is sometimes yes, more often than not, the answer is no. 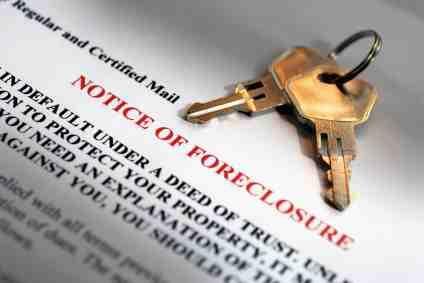 When Can a Mortgage Company Owe you Money For a Foreclosure? When a mortgage company seizes your home to foreclose, the company sells your home. They may do this in a foreclosure auction if they can find buyers, or they may list the home with a real estate agent. In either case, the lender sets a price for the home that is equal to the amount they need to recoup on the loan. So, if you owe $100,000 on the mortgage, usually the bank will start the bidding for the house at $100,000 or more. So, what happens if the bidding war heats up and the house goes for $110,000 or $115,000? In that situation, the answer to can a mortgage company owe you money for a foreclosure is yes. The bank cannot just keep the money that exceeds the amount they have paid. While they are allowed to take the full balance of the loan, as well as all fees and costs (including legal fees for the foreclosure and any fees they paid to a real estate agent or for the auction) if there is anything left over, that money goes to you. Although it is theoretically possible to get money back from a foreclosure, unfortunately it does not happen very often. A big part of the reason it doesn't happen is because normally a person is foreclosed on only when they don't have other options. For example, if a person can sell the home for what is owed -or close to it- most people would opt for that over a foreclosure. In fact, many people will even try to arrange a short sale, in which they sell the house for less than owed but the lender agrees to take that amount as full satisfaction of the debt. If the house is worth so much more than what you owed on it- enough to cover the bank loan plus all the bank's costs and fees and still have some left over- you probably would have sold the house yourself instead of allowing it to go into foreclosure. Likewise, if you had enough equity in the home that the bank was able to sell it for more than you owed, you probably would have been able to refinance to get some of that equity out in order to pay the bills. This means you probably didn't have much equity in the first place if the lender foreclosed, so once again this means your debt was probably pretty close to equal with what the bank could get for the house (or your debt was greater, which puts you in an even worse financial situation). If you don't get money back after a foreclosure, what does happen? In some cases, the bank is forced to sell the house for less than what you actually owed. In such situations, in some states the bank is out of luck and they eat the loss. In other cases, however, the bank is allowed to get a deficiency judgment against you. In states that permit this, the bank can go to court and get this judgment against you for the unpaid balance. You will then have to pay them back the difference between what they sold the house for and what you owed. If you don't, the court might garnish your wages or tax returns or put liens on any property you do own until you pay back this judgment.